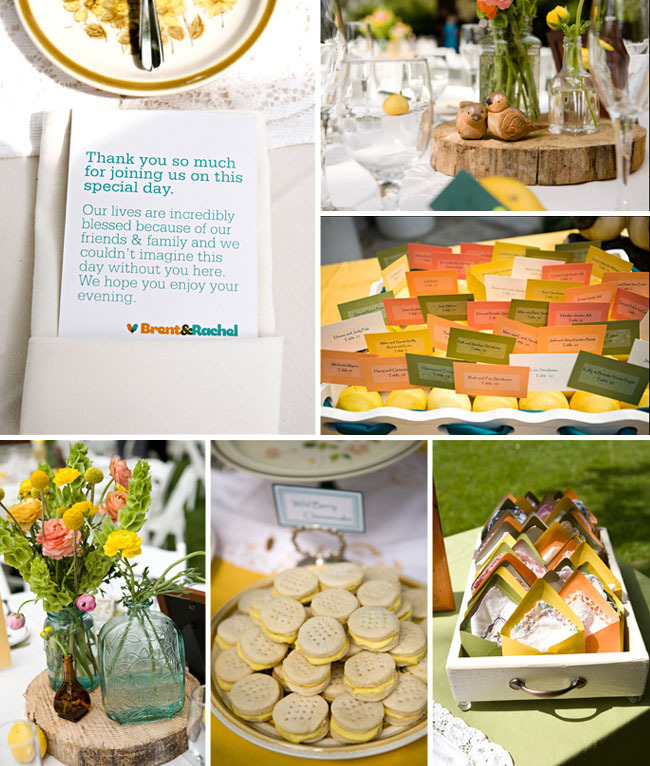 When we started planning our April 3rd, spring wedding we knew that we wanted to have a outdoor, relaxed day filled with friends, family and lots of love. We wanted the day to reflect who we are, our style and personalities. 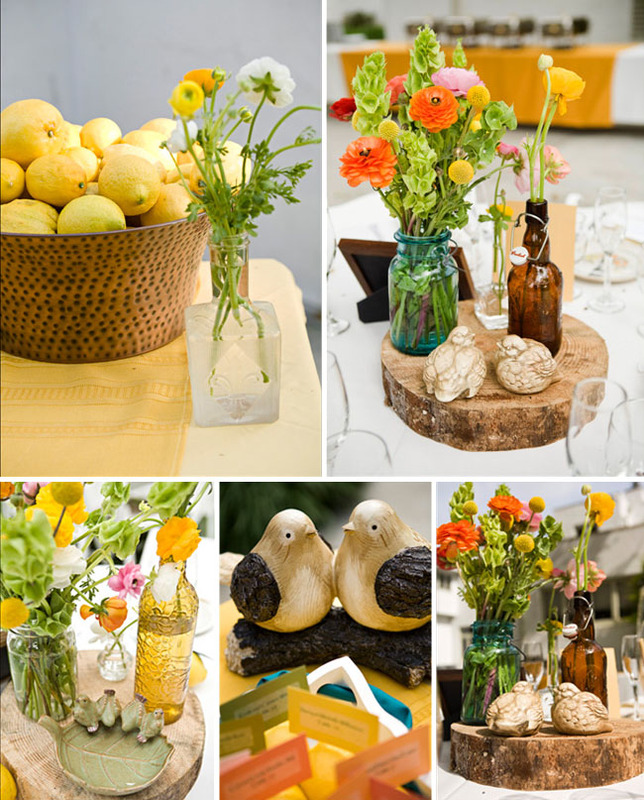 When we had to decide on a theme or colors, we had a ton of ideas… love birds, lemons, vintage, rustic, eclectic things and lots of color ( i love color) . The colors we focused on were a yellow, gray, and hints on teal. When we started collecting wedding decor we started out thrifting like crazy and going to antique stores at any chance we could. Since I love antiques, and Brent proposed in an antique store we definitely wanted some old things :). 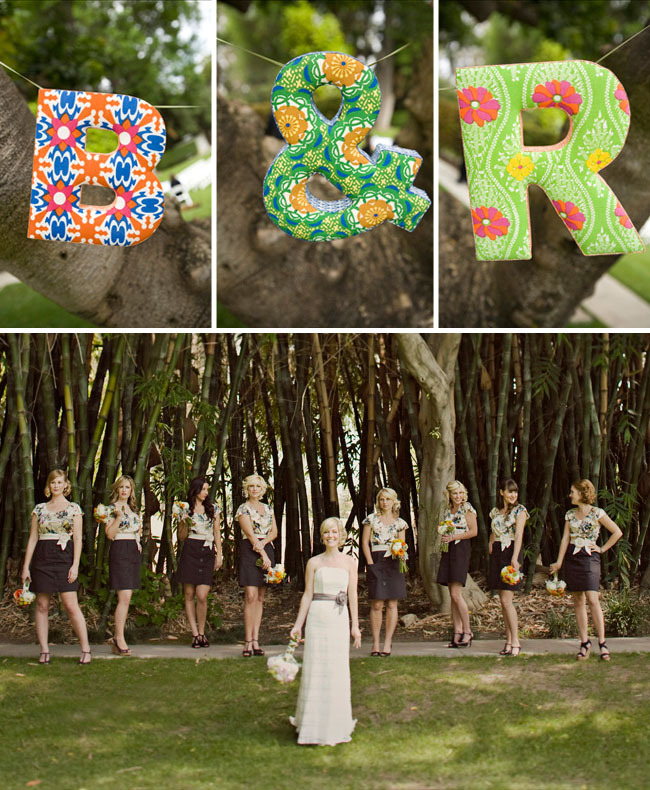 Love the bridesmaids dresses from Anthropologie. I actually bought this dress a few weeks ago :) Groomsmen’s attire from H&M. For the ceremony I wanted to keep it really simple. 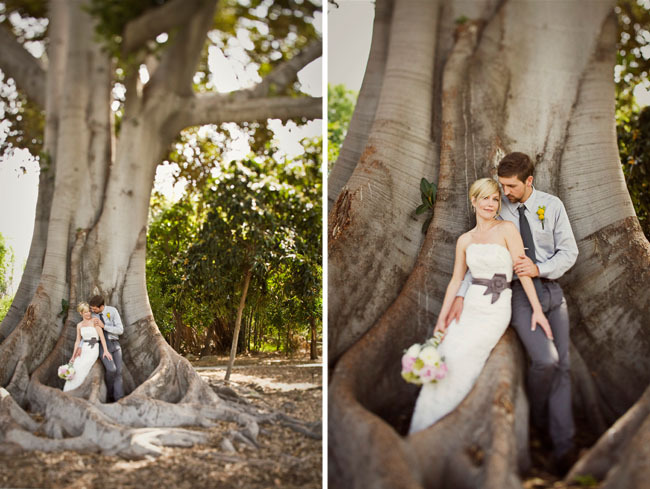 We lined the aisle with lemons , and said our vows under a grapefruit tree. 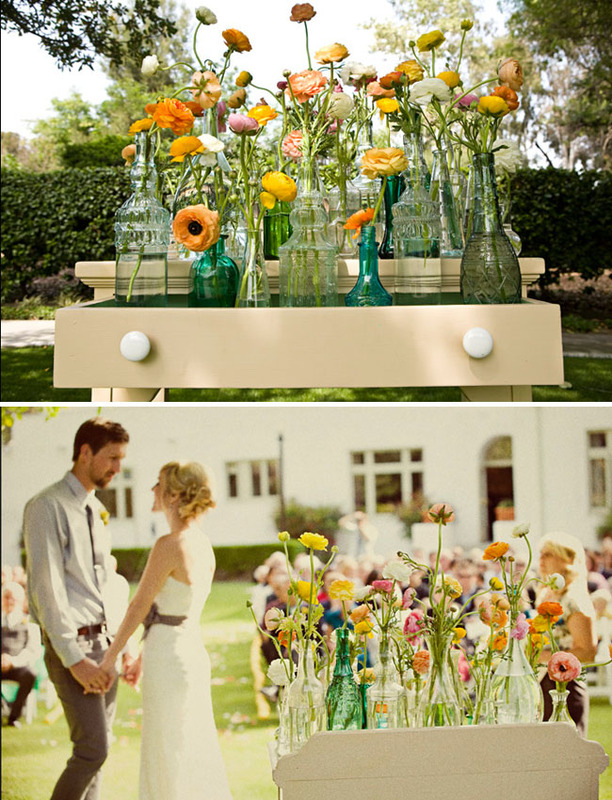 We had a little old desk full of random size vases filled with ranunculus flowers, which was simple stunning. Our pastor was a really great friend of Brents, which made is so special for us. One of our favorite memories of the day was looking around and seeing everyone we love, friendships from different seasons in our lives, all in one place. Brent and I felt so blessed to be surrounded by so many people who love us. My favorite moment was starting to walk down the aisle with my dad. The string trio played “yellow” by Coldplay and everyone stood. Looking ahead to have the man of my dreams waiting for me was an unforgettable moment. My dad got tears in his eyes, and made me cry! It was a moment I will cherish always. The Clarke Estate was perfect, it was outside with a ton of trees and bamboo. It was naturally beautiful which made it so easy to decorate. 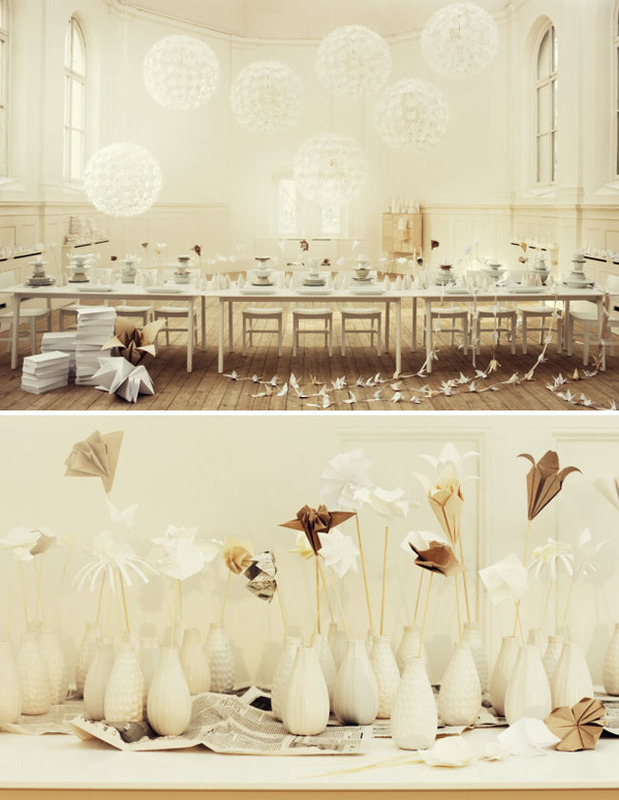 I was a little obsessed with our tables and I wanted them to be perfectly decorated. We covered them with old lace tablecloths, with different dessert plates and forks from the 70’s. The centerpieces were real wood pieces (cut down by a friend from northern california), with antique mason jars, vases and medicine bottles filled with flowers. 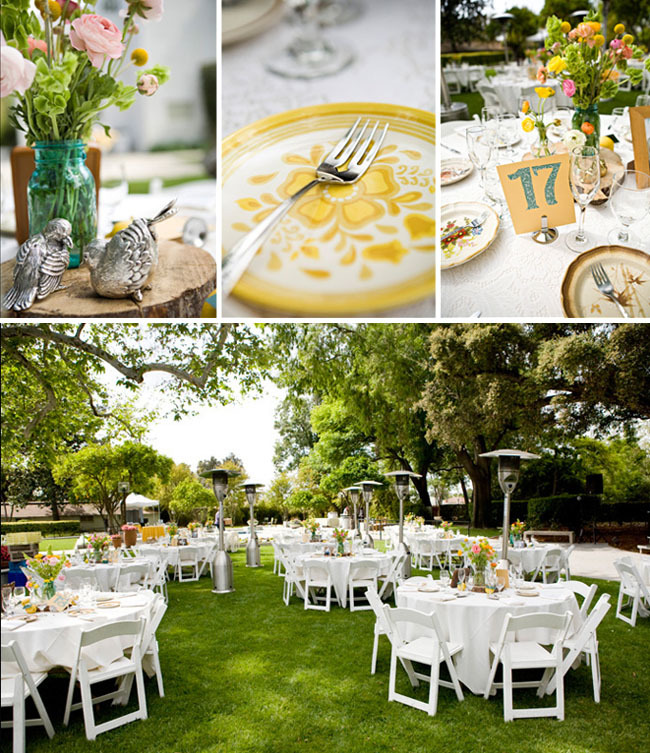 Each table also had a wood framed picture from our engagement shoot and a pair of “lovebirds”. Brent, myself and my mom collected or made all the decor! We also had a couple friends do some art work, Kelli Murray (also featured a few months ago on GWS) did a painting of our save the date, and Mel Metz did a “thumb print tree” for our bridal party. I have to say to those that are planning, enjoy the process of wedding planning, it goes by so quickly, and so does the wedding day. It is amazing when you put in a million hours of preparation and planning and then feel it unfold around you. It is SO fun!!! 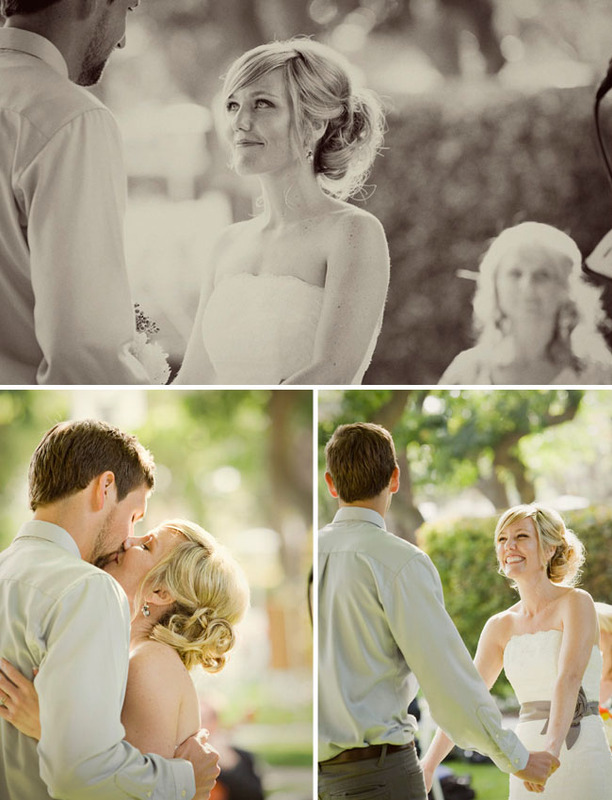 Your wedding day should be one of the best days of your life. So Enjoy & Relax. Cinematography: A childhood friend of Brent’s, Tyler Faires. Simply amazing and so talented! Floral Design: My aunt Darlene and family friend Karen Perris / all the flowers were from the LA flower mart hand picked by me. Get away car: My dad’s 1936 chevy built for me and my sisters to drive away in on our wedding day! 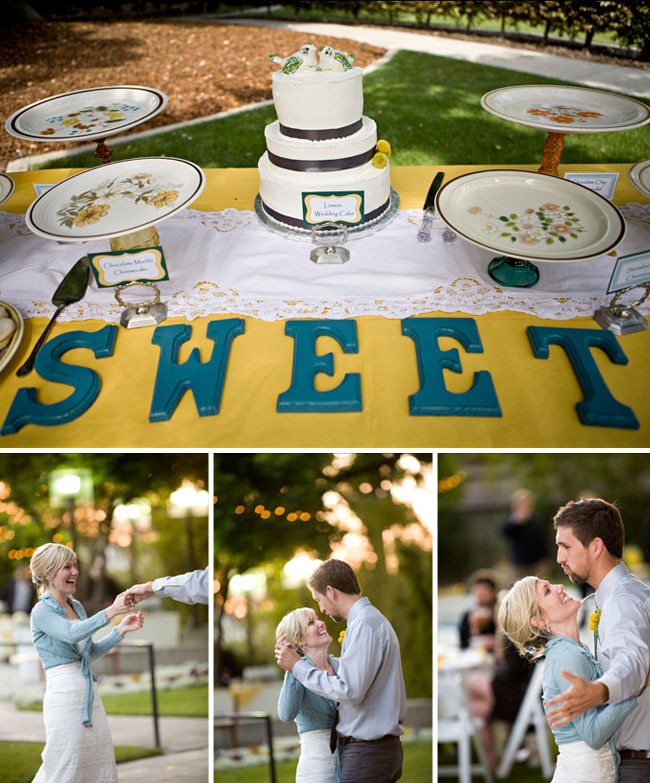 Check out more from their wedding on Jagger Photography’s Blog. 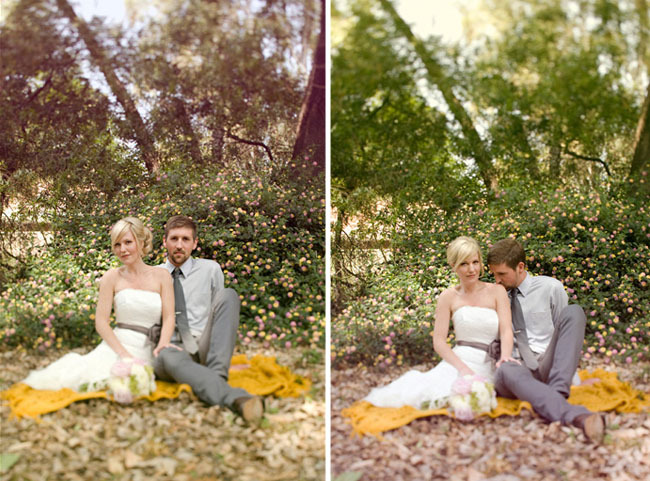 Thanks Rachel + Brent for sharing your beautiful wedding with us and best wishes to you both! 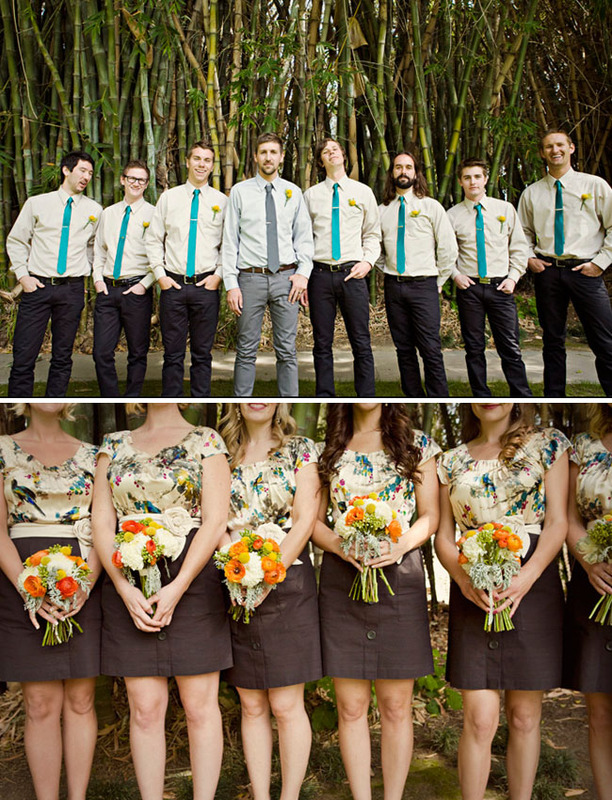 SOOO cool- 8 bridesmaids and groomsmen!! your photographers must have been amazing!